Definitely a classic. Still reads well despite its age as well, which is a major plus. 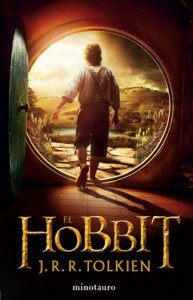 The Hobbit is the kind of book you sit down to read when you want something easy to digest and yet satisfying. Granted, it took me ages to get through it, but well, I'm a very lazy reader. I had read this when I was younger, and while I really enjoyed it, it didn't really stick with me as well as Harry Potter or A Series of Unfortunate Events did. Same with the Lord of the Rings. However, reading them as an adult, I felt like I appreciated and even enjoyed them a lot more than I did back then. I'm really looking forward to getting into LotR when my time permits and experiencing that again - I remember it being a whole different kettle of fish from the Hobbit.